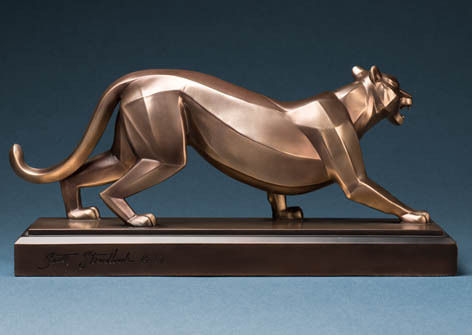 Known for its power and agility, the cougar has been the mascot of Brigham Young University since the early 1920s. This original piece by Scott Streadbeck is masterfully designed and beautifully crafted. The bold contemporary style and the 15” length make this statue ideal for your home or office. 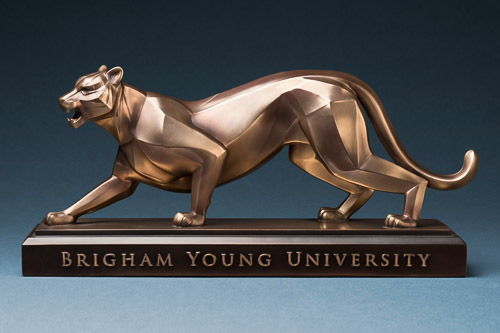 Bring the spirit of the Y into your space and honor the tradition of the cougars of BYU.